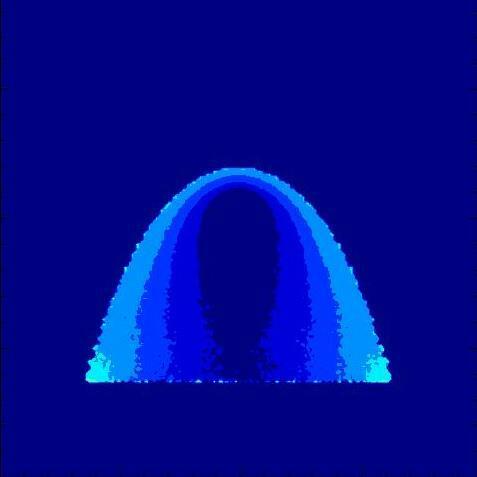 Our group uses 3-D Monte Carlo radiative transfer techniques to simulate the interaction of light from stars and supernovae with surrounding configurations of circumstellar gas. We create these simulations at DU's parallel computing facility and compare them with observations from the world's most powerful telescopes. Undergraduates in this group work as a team in an implementation of the Collaborative Research Experience for Undergraduates (CREU) pioneered by the Committee on the Status for Women in Computing Research. This program has been supported by DU's Professional Research Opportunities for Faculty (PROF) fund and the National Science Foundation. 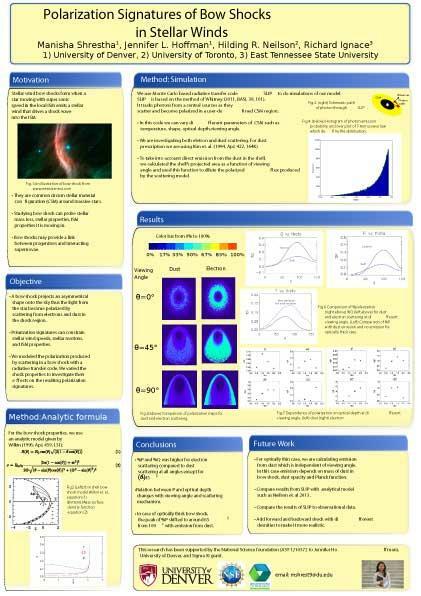 Manisha presented new results from her models of bow shock structures around fast-moving evolved stars at the 2015 Physics of Evolved Stars conference in Nice, France. Download the full-size poster. Reflections and Fringes: How Can we Link Polarimetry with Interferometry to Illuminate Circumstellar Material?